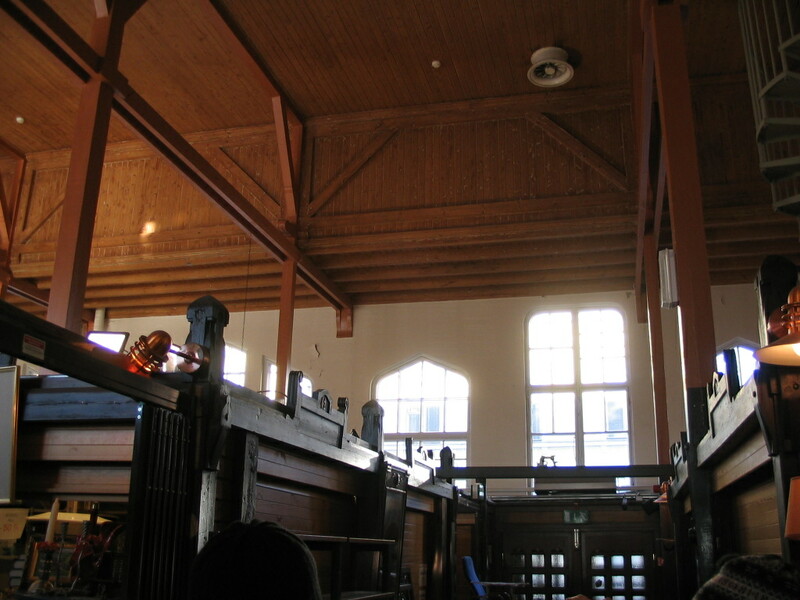 We took a tour around downtown for our architectural history class, seeing numerous important historic buildings. Morning at the Merisotilaantori tram stop, looking toward the old naval facilities, which I think now house the Finnish foreign ministry. 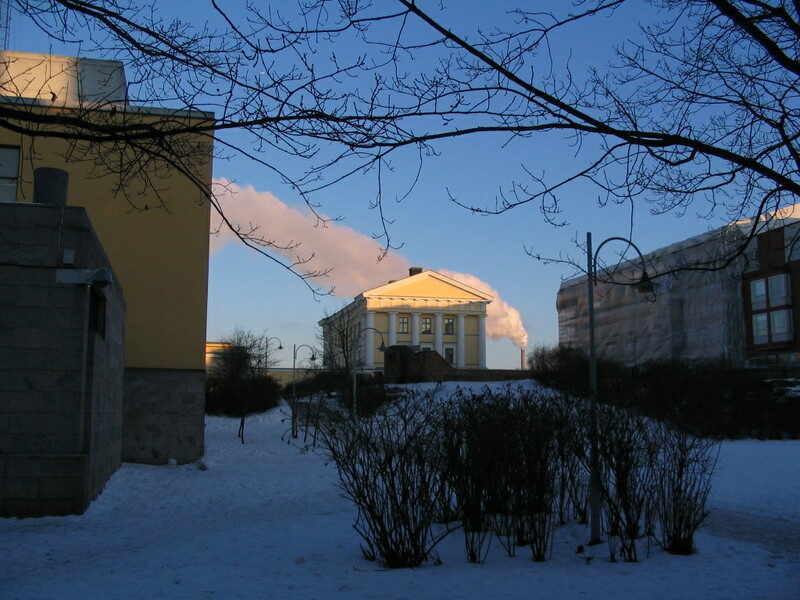 Also, the Hanasaari power plant adds a nice touch of steam. 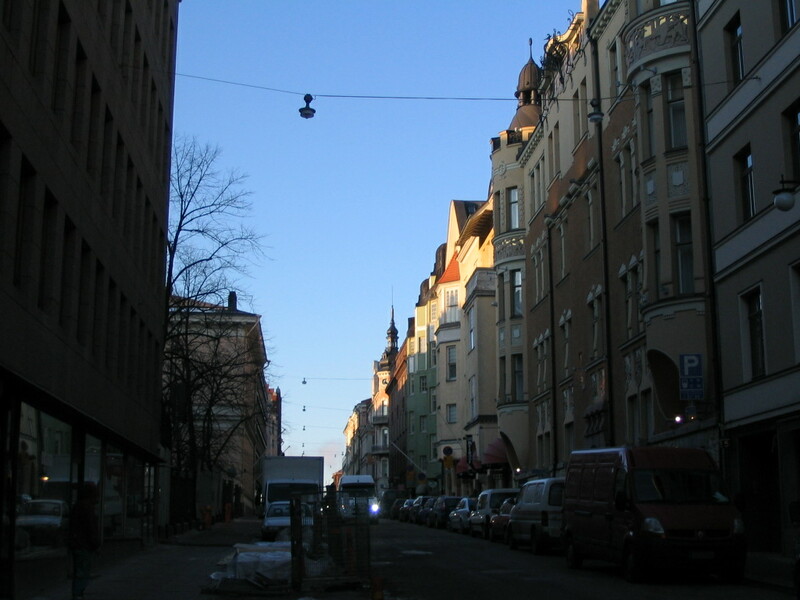 Heading up Lönnrotinkatu from Mannerheimintie, with early southeast sunlight. 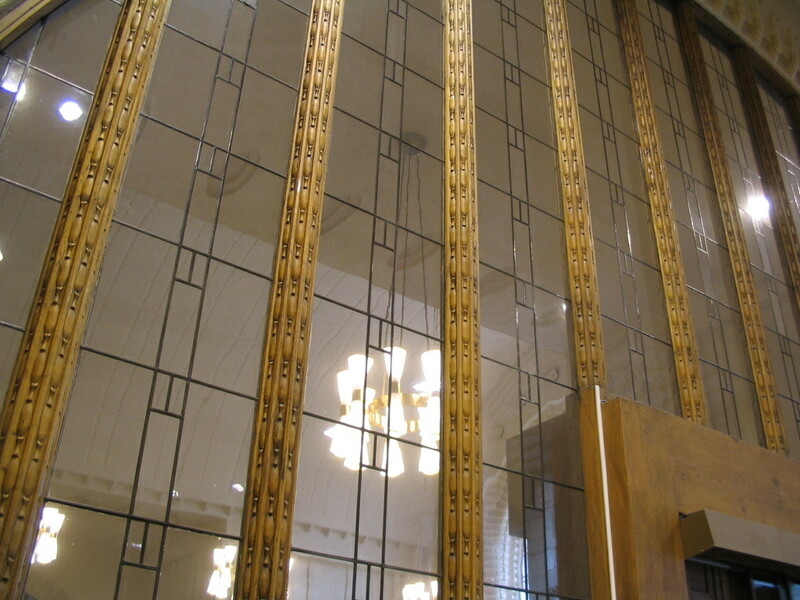 This is in the main room of the Hotel Linna (thanks to Cassie for reminding me what it is), an important example of Finnish National Romantic architecture. 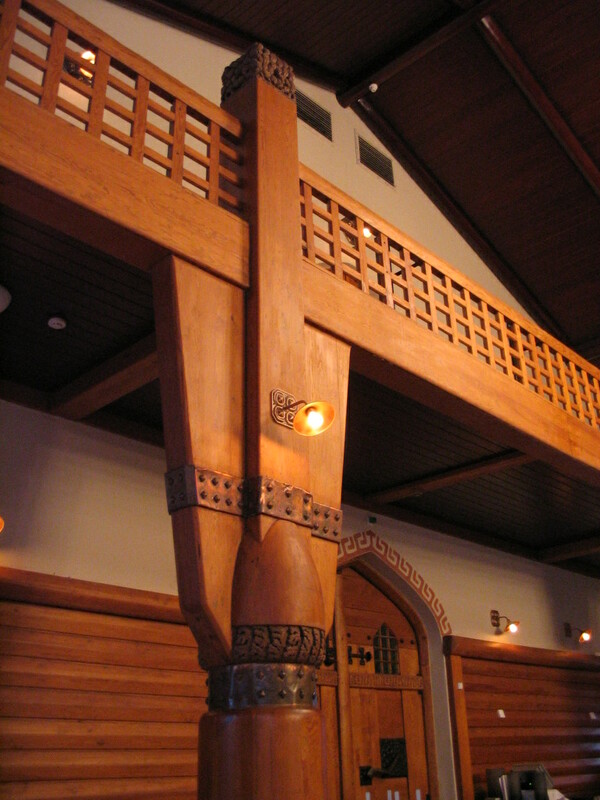 The wood carvings are quite impressive. I like the stoutness of the style a lot. 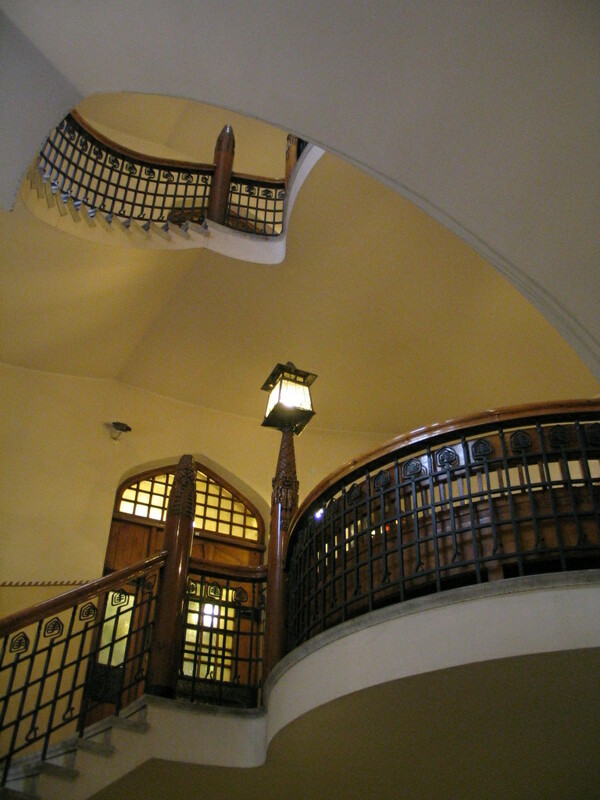 A quirky light at the top of the stairwell. 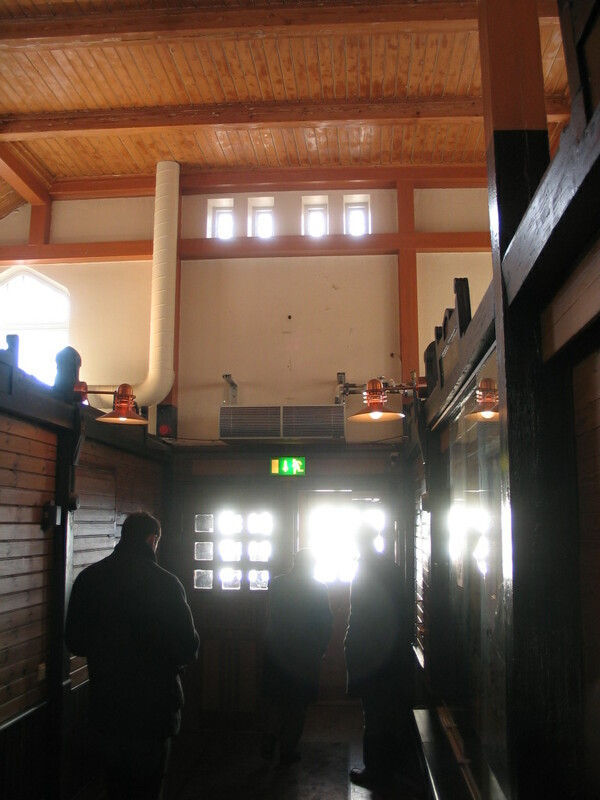 This is the interior of a market hall nearby, closer to the shore. 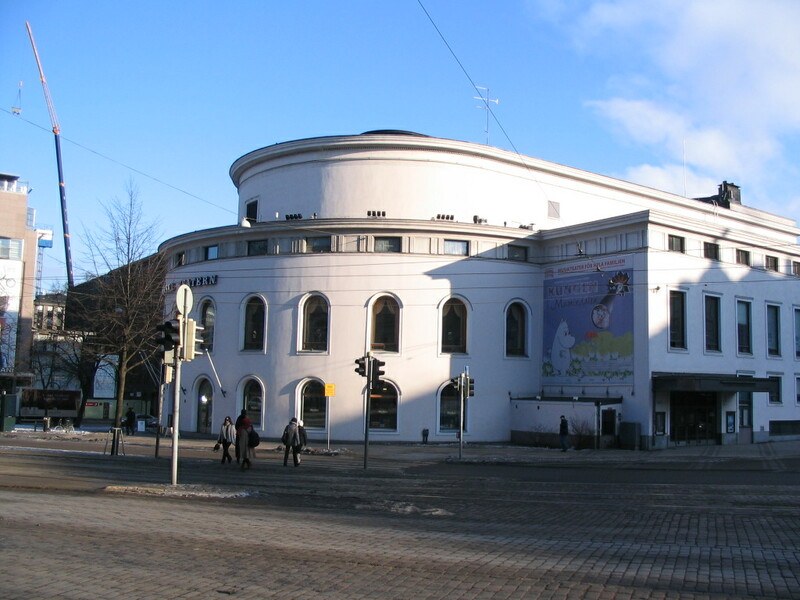 Svenska Teatern (the Swedish Theater), which fronts on Mannerheimintie and terminates Esplanadi at the western end, while Kauppatori serves as Esplanadi's eastern end. Esplanadi is, as you might infer from the name, a wide boulevard containing a linear park. 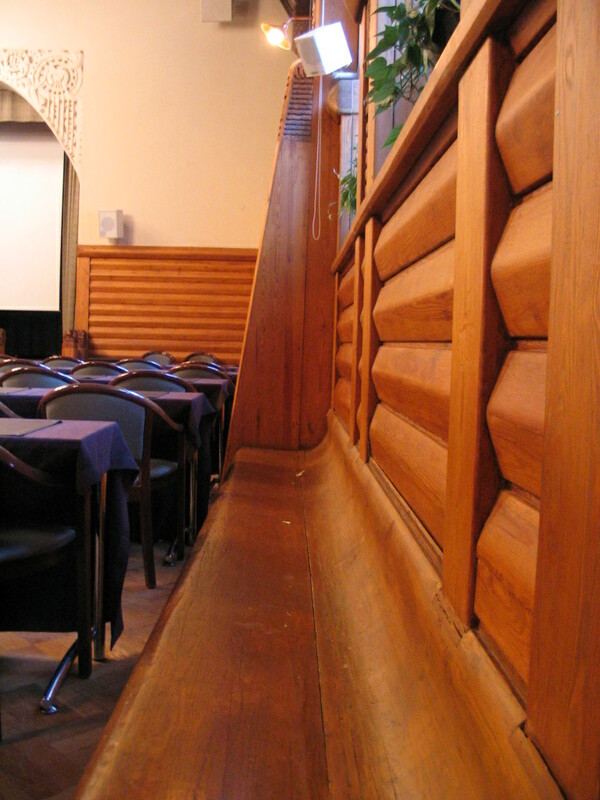 It parallels Aleksanterinkatu. 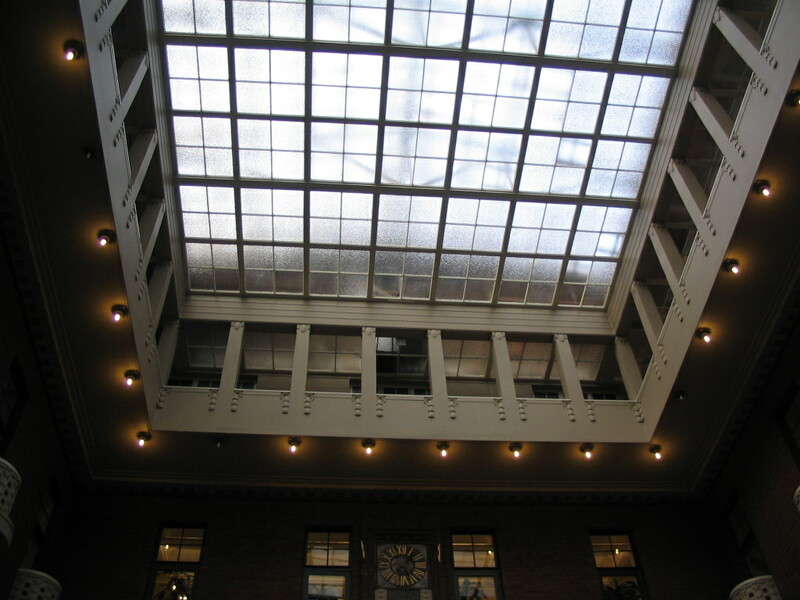 The atrium of the old Helsinki Stock Exchange, on Fabianinkatu between Esplanadi and Aleksanterinkatu, now a restaurant called Pörssi (meaning stock exchange). 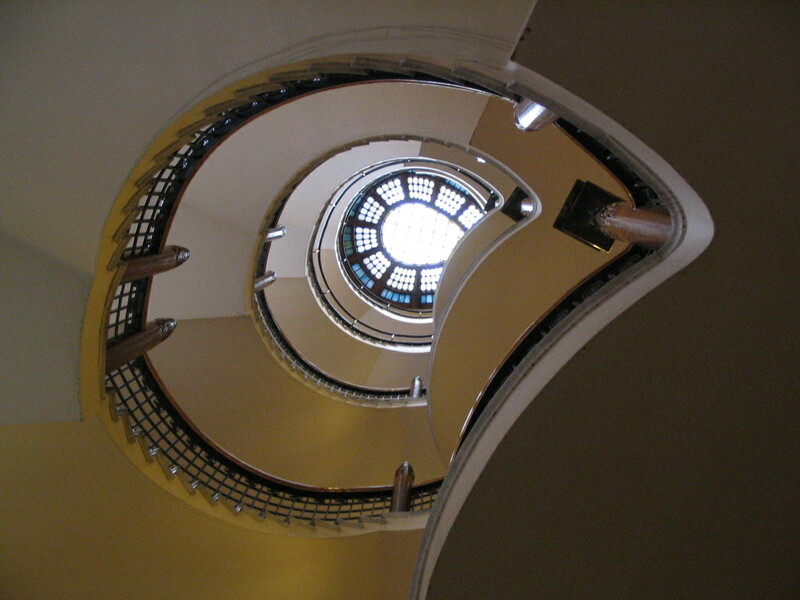 The stair at one far corner of the atrium; it's mirrored by another stair at the other corner. 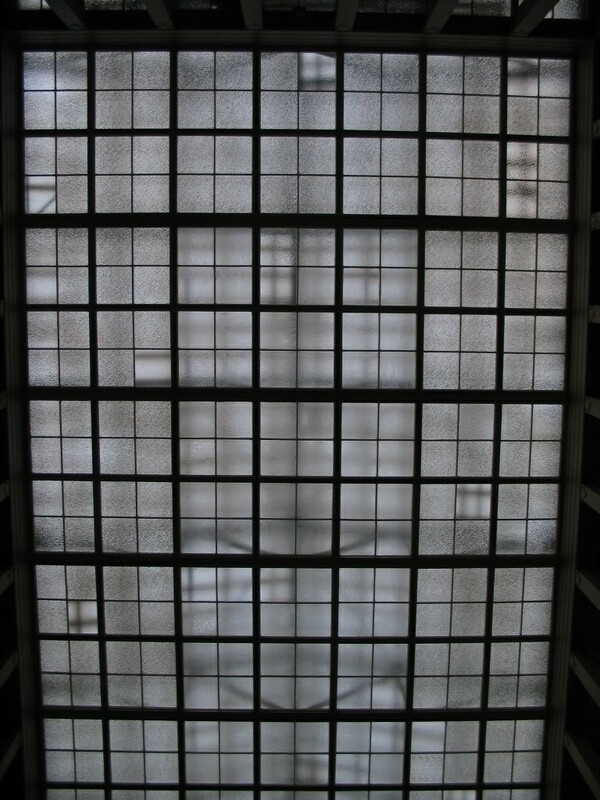 The glass roof of the atrium, through which you can make out the structure above. 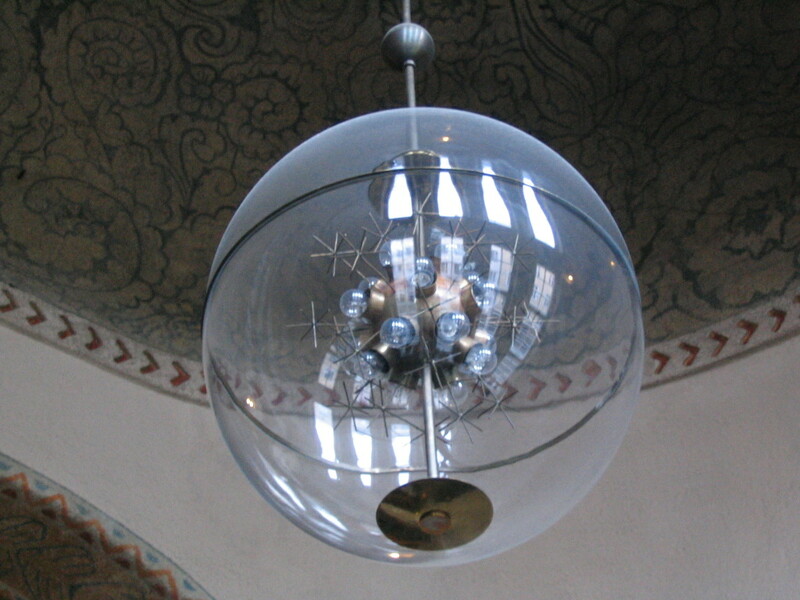 "Börs" is cognate with "Pörssi" and a slew of other words across European languages. 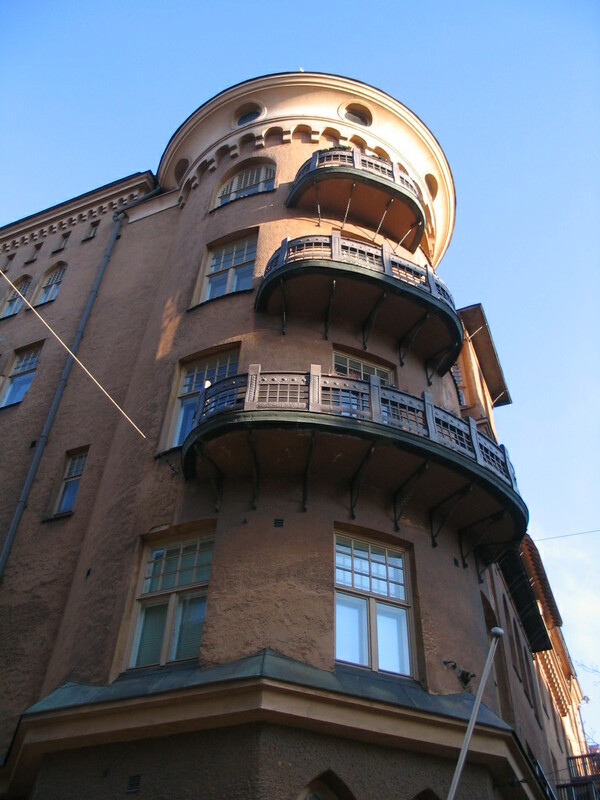 This was one of my favorite buildings in Helsinki. 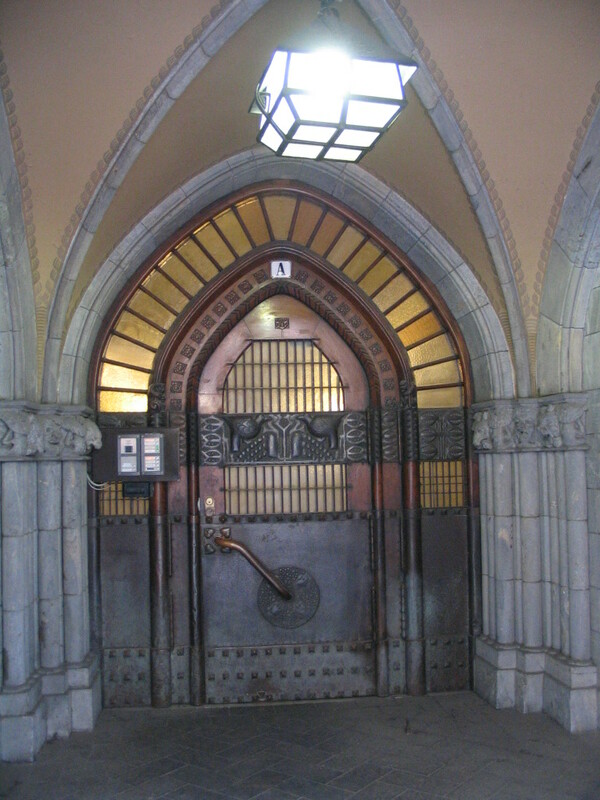 It's on Aleksanterinkatu and was designed by Selim Lindqvist. 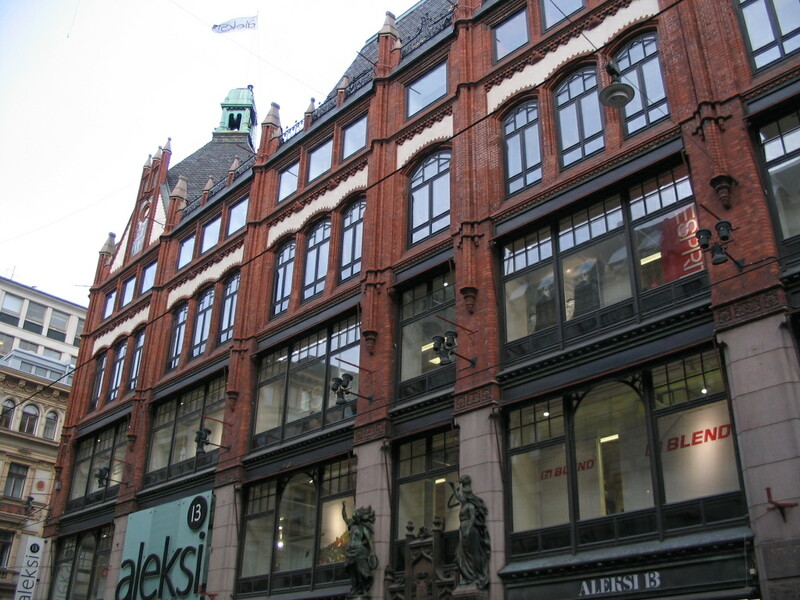 It houses the department store Aleksi 13, which is named after its original location here (Aleksi being a nickname for Aleksanterinkatu) but which has expanded to other Finnish cities. 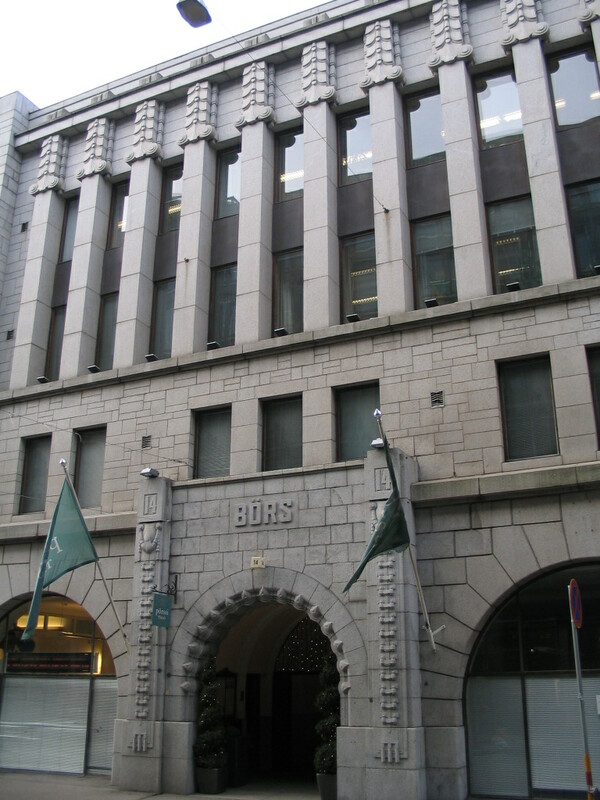 Directly across the street is the old headquarters of the Pohjola Insurance Company, designed by Gesellius, Lindgren, and Saarinen, one of the most important firms of the National Romantic/Jugend period, and completed in 1901. 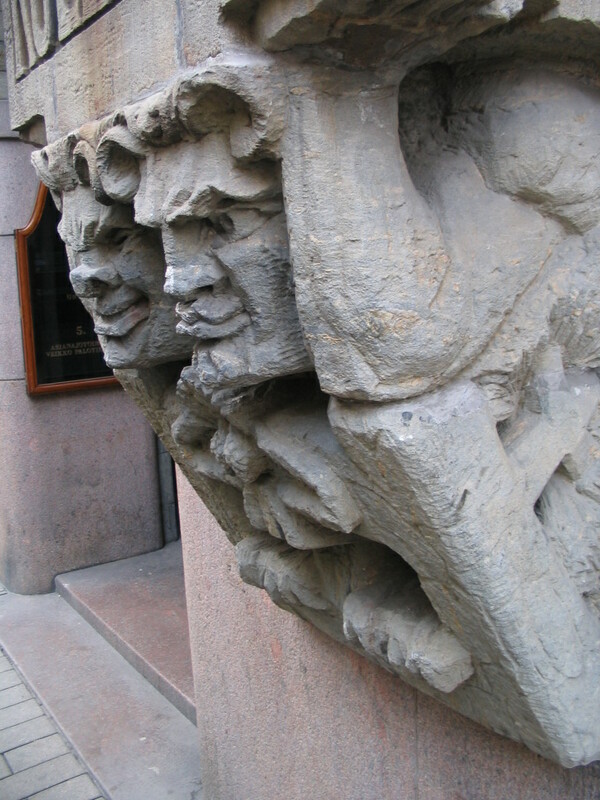 Its stone façade is covered with fanciful carvings like these. 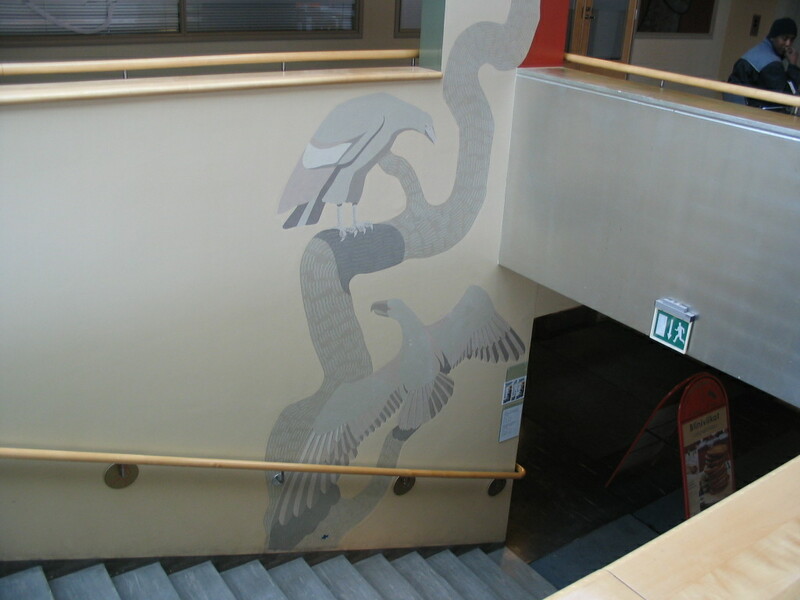 The serpentine stairwell of the Pohjola building. 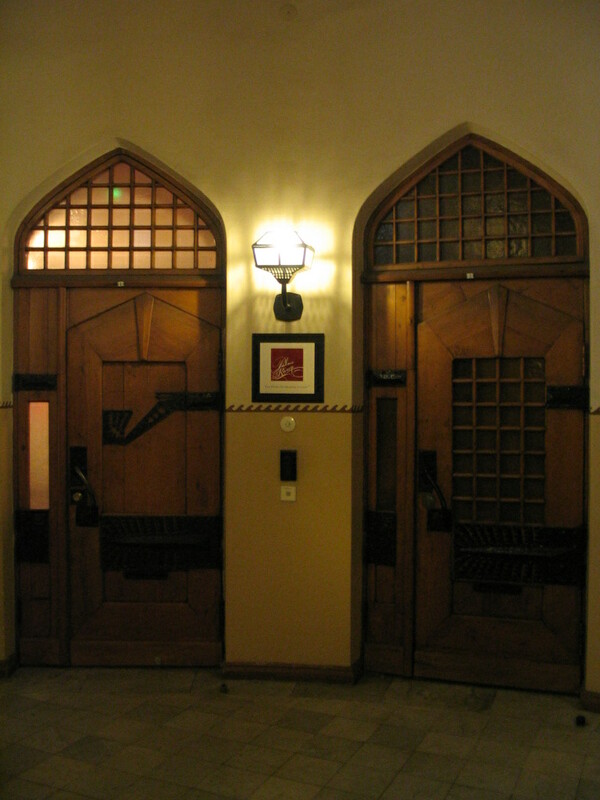 A couple of doors at one of the levels. Totally sweet hardware. 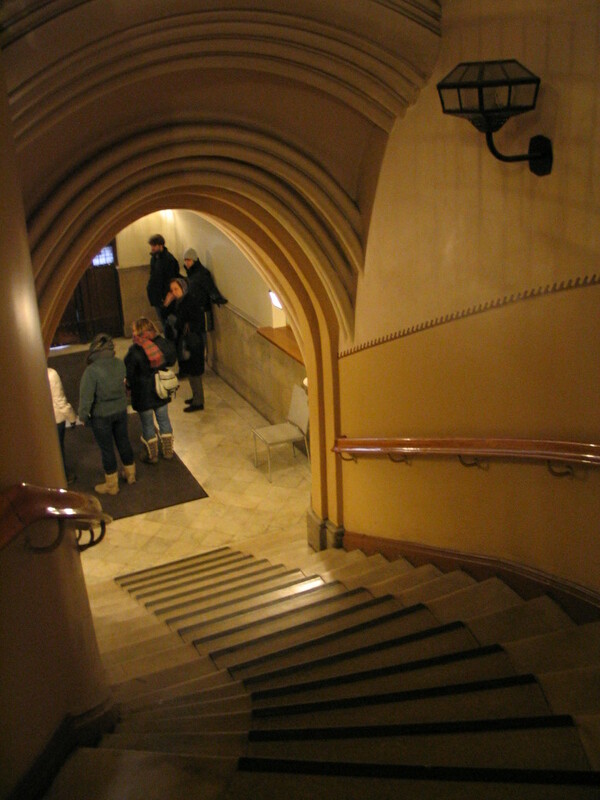 Back down to the entrance. 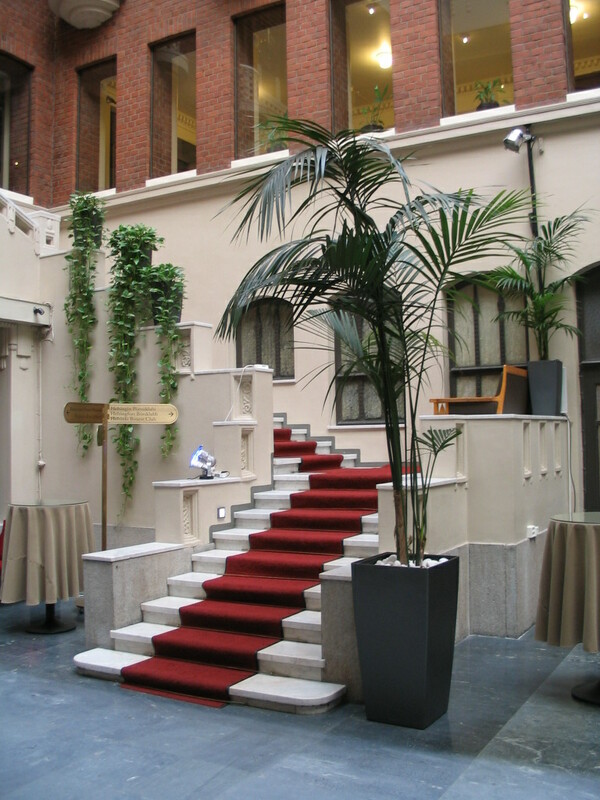 The entrance door from outside. 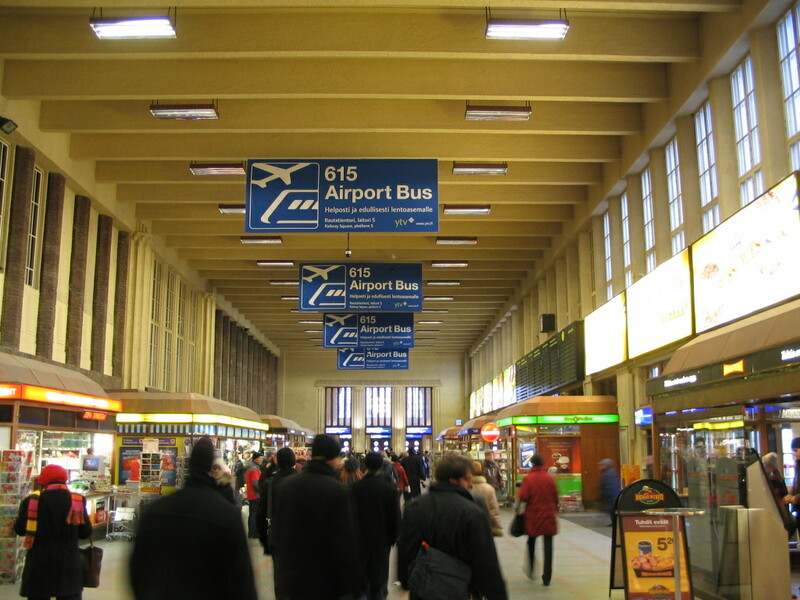 And then here's one of the main halls of Rautatieasema. 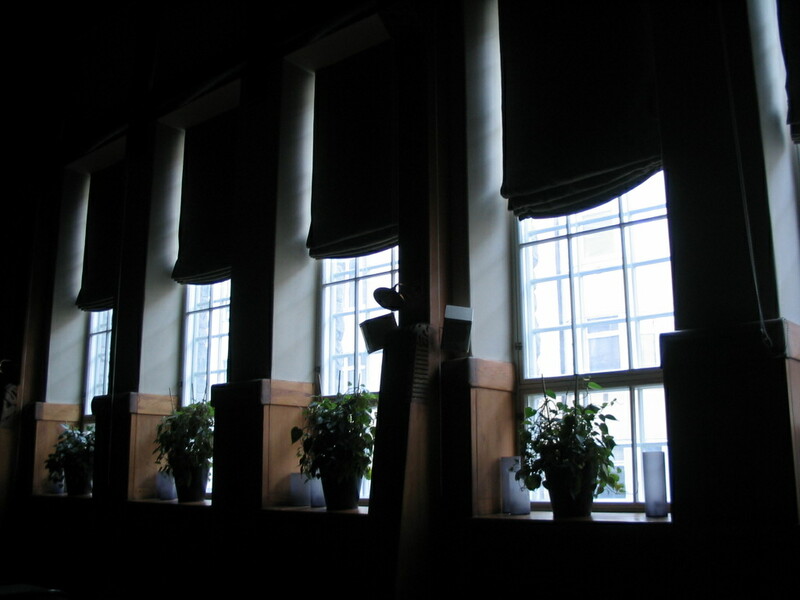 A detail of the interior windows in the station. 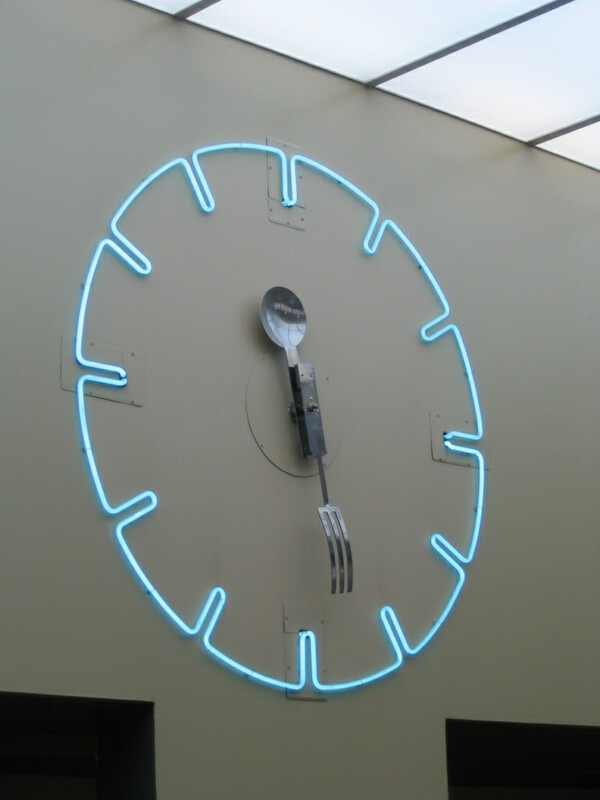 Inside Lasipalatsi, a timeless clock.